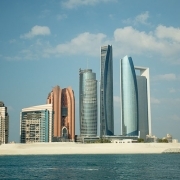 Global law firm Holman Fenwick Willan has expanded its Middle Eastern presence, with the launch of a new Abu Dhabi office. It comes as two new partners join the firm to begin in the Abu Dhabi office, nabbed from fellow global firm Reed Smith. Finance and corporate partners Vince Gordon and Tania de Swart have taken up their new positions, with more than 23 years of experience in the Middle East between them. Mr Gordon leaves his role as Reed Smith’s Middle East regional managing partner for the gig. He has advised clients on a range of complex corporate, finance, infrastructure and projects transactions and has worked across debt capital markets, M&A and joint ventures, funds, corporate and trade finance, regulation and project finance work. He previously chaired Reed Smith’s Africa and Australia business teams, vice chaired its business and finance department, as well as sat on the management committee of the firm’s global financial industry group. Ms de Swart is a corporate and commercial law specialist, with a focus on M&A, joint ventures, restructurings, corporate governance, foreign direct investments and employment law. She has advised clients across a range of industry sectors, from defence and aviation to construction, oil and gas, healthcare, manufacturing, communications, hospitality and education. “Vince and Tania have outstanding reputations in the market and their arrival is a big boost to our corporate and transactional practice, which is one of the fastest growing parts of our business,” he noted. Joining offices in Dubai, Riyadh, Beirut and Kuwait City, the new office is HFW’s 20th worldwide. It is the eighth international office opening, merger or association for the firm since January 2016. Clyde & Co has grown its Miami office with a 12-strong insurance team, led by partners from Hinshaw & Culbertson. Insurance partners Sina Bahadoran and Eric Hiller are joining alongside a team of 10 lawyers and two other legal support staff. Bahadoran has been at Hinshaw & Culbertson since 2003 and was a member of the executive committee. This is the first major hire for the firm in Miami since its launch in 2016 through a merger with Thornton Davis Fein. The new team represents insurance companies in high-profile insurance coverage litigation matters throughout the US. They focus primarily on commercial general liability, errors and omissions (for lawyers, agents, and accountants), directors and officers, and employment practices liability policies. Quinn Emanuel Urquhart & Sullivan has secured a licence to launch an office in Qatar, a move that will give the firm its first base in the Middle East. 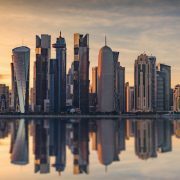 The firm received approval from the Qatar Financial Centre (QFC) earlier this month (7 November), allowing it to practise both international and local law in Doha. Quinn construction partner James Bremen, who also chairs the firm’s construction and engineering practice, is named on the filing as its representative. He joined the US litigation powerhouse in December 2016 from Herbert Smith Freehills, to launch a UK construction disputes group. It is understood the firm plans to find office space in the QFC early next year. The office will be led by Bremen and will include about five associates, all recruited locally in Doha. Bremen is expected to be the only partner in the office, dividing his time between London and Qatar. While at HSF, he also split his time between both these locations. It will not be a full-service office but will serve Bremen’s practice, which is focused on construction projects and disputes. Until 2006, international firms were restricted from launching in Doha without an association with a locally trained lawyer. Since then, the QFC has allowed firms to move in through its own separate regulatory framework. The office opening will be the first for the firm in the Middle East and bucks a trend of international firms scaling back in the region. In April, King & Wood Mallesons (KWM) cut ties with local firm Majed Almarshad, leaving the firm with just one base in the Middle East. After its Freshfields hires, what next for WilmerHale in Europe? WilmerHale eyes Europe expansion following Freshfields hires as firm sets out to boost global reach. Earlier this year, Wilmer Cutler Pickering Hale and Dorr made waves in the London patent litigation market with the hire of Freshfields Bruckhaus Deringer partner Justin Watts and senior associate Matthew Shade, who joined the US firm as a partner. 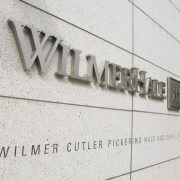 The hires were the first WilmerHale had made in London since 2014, when it launched a London intellectual property (IP) litigation practice with the hire of Dentons’ then UK patents head Anthony Trenton, and the first since it decided to downsize in the UK and move away from transactional work in 2015. 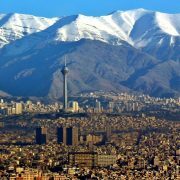 French firm Gide has opened an office in Iran, joining a small handful of international firms to launch in the region. The office in Tehran will be led by former Gibson Dunn & Crutcher regulatory counsel Mehrnoosh Aryanpour. She joined the French firm as a partner in January ahead of its Iran launch. Paris-based Christophe Eck will also lead on the firm’s Iran operations, having been Gide’s managing partner in 2010 and 2011. They are currently supported by two associates, who have joined Gide from local Iranian firms. The firm is not aligning with a local firm in the region and will practise in Iran under its own name. It will advise French and international companies on operations in the country, also assisting domestic corporations in advisory and litigation matters. Aryanpour, in particular, will advise on sanctions and export controls for companies in the transport, energy and infrastructure sector. Despite advising clients in Saudi Arabia, Gide has few offices in the Middle East region. This followed a review in 2010 which saw the firm close three Middle East offices – in Abu Dhabi, Dubai and Riyadh. Gide had had a presence in the Middle East since 1978 when it opened its Riyadh office in response to the second oil crisis. In Abu Dhabi, Dubai and Riyadh the firm had respectively five, four and three lawyers. Since the closure, Gide partners based in Paris, Istanbul and North Africa instead have led on the firm’s operations in the area, working closely with its four hubs in Algiers, Casablanca, Istanbul and Tunis. A number of international firms have now launched in Iran, including CMS. The firm launched in 2016, with a team from the firm’s German arm leading the office, while Central-Asia firm Colibri also launched in the same year. Eversheds Sutherland is opening three new offices in Russia and Luxembourg, with a series of team hires from Simmons & Simmons and Nordic firm Hannes Snellman. 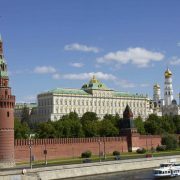 The firm is moving into Russia via the acquisition of Hannes Snellman’s entire operation in the country, which comprises bases in Moscow and St Petersburg staffed by five partners and 17 other lawyers. The Russian operation will be headed up by corporate partner Victoria Goldman, who was managing partner of both Hannes Snellman offices. The other partners joining are real estate partner Yury Pugach, litigation partner Luke Wochensky, corporate partner Anu Mattila and corporate partner Mikhail Timonov. The Russia team will offer a range of corporate legal services, with an emphasis on real estate, litigation, M&A and corporate crime and investigations. Hannes Snellman entered the Russia market in 2006 as part of its acquisition of Finnish firm ETL Law Offices. The Russia spinoff leaves the firm with just two bases, in Helsinki and Stockholm. Meanwhile, Eversheds is also opening in Luxembourg today (6 September) with the hire of two partners and five associates from Simmons. The office will be led by investment funds partners Jose Ignacio Pascual Gutierrez and Viviane de Moreau d’Andoy, both of who joined Simmons in 2015 to launch a Luxembourg base for the firm. The exits leave the firm with three partners in Luxembourg – country head Louis-Mael Cogis, tax partner Pierre-Regis Dukmedjian, and capital markets partner Alan Davies, who is currently on secondment from London. It is understood that the firm plans to build on this team following the departures. 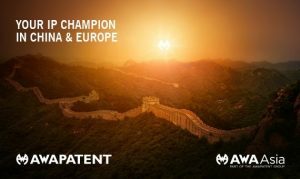 The Asian arm of leading European intellectual property firm Awapatent, AWA Asia, continues its expansion by extending the 120-year-old firm’s formidable patent practice to China. Having established its now award-winning brand management practice in February 2015 with the launch of AWA Asia in Hong Kong and Beijing, the firm is responding to clients’ increasingly regular demands for patent services in China through two senior hires in the form of Xiaofan Chen (Partner) and Yuanyuan Chu (Senior Patent Attorney) in Beijing as of 28 August 2017. Through this amplified offering, the firm’s impressive client list of all profiles ranging from high growth start-ups to international MNCs can now benefit from the firm’s full-service IP offering covering patents as well as non-patent IP rights in China. Xiaofan Chen (Partner): Joining us as a partner from Liu Shen, Xiaofan has both contentious and non-contentious experience in patent rights management. He regularly advises on patent validity, infringement and freedom-to-operate analysis cases, and has successfully represented clients on civil and administrative patent disputes. Xiaofan’s experience in contentious patent cases brings a valuable dimension to the prosecution and advisory work he undertakes for clients. Educated in China and the UK, he covers a wide range of technical fields, including mechanical engineering, manufacturing, laser imaging, printing/packaging technology, computer science, internet technology, e-commerce, and business methods. Xiaofan was one of the first patent litigators registered with China’s Supreme Court. Yuanyuan Chu (Senior Patent Attorney): Yuanyuan’s patent practice focuses on computer science, electrical engineering, electronics, microelectronics, semiconductor devices and processes. 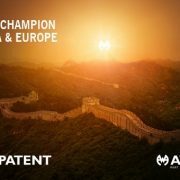 Apart from assisting international MNCs on their patent prosecution and disputes in China for the last 13 years while at her last two firms, CPA and Liu Shen respectively, Yuanyuan also has considerable experience in coordinating US patent matters. Yuanyuan has been qualified as an attorney at law in China since 2007. For more information on Xiaofan Chen, please click here, and for Yuanyuan Chu, please click here. After this office opening, the Atlanta-founded firm will have a total of 10 offices in the US. Fardon most recently served as the US Attorney for the Northern District of Illinois, resigning from his post in March. The move marks a return to King & Spalding for Fardon, who started his legal career at the firm between 1992 and 1996. After a series of government roles, Fardon joined Latham & Watkins in 2007 where he chaired the litigation department in Chicago for three years. 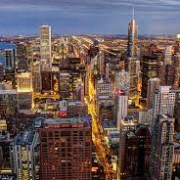 Fardon will become King & Spalding’s Chicago managing partner and head of litigation in the new office. King & Spalding expects to add additional lawyers in the coming months and open a permanent location in the city. The office will focus on government investigations, commercial litigation and work across the financial services and life sciences sectors. According to The Lawyer’s Global 200 report 2017, King & Spalding’s top three jurisdictions were Atlanta, Washington DC and New York. Its revenue broke $1bn for the second year running in the last financial year, with its lawyer numbers breaking through 1,000 for the first time. King & Spalding turnover rose 4 per cent over 2016 amid a slowdown in City revenue of 8 per cent to $42.6m. Kennedys has expanded its presence in Australia with a new office in Melbourne, hiring Lander & Rogers partner Michael Kavanagh as the new office head. The office is Kennedys’ second in Australia, complimenting its presence in Sydney. Kavanagh brings a three-lawyer team with him from Lander & Rogers. The firm will also transfer special counsel Nicholas Blackmore from its Hong Kong office. Kennedys’ Melbourne practice is the firm’s seventh new office this year after a merger with US firm Carroll, McNulty & Kull added 100 lawyers and five offices to the firms network. Melbourne will bring the firm’s total office count up to 34. Andrews said: “A number of our significant local and global clients are in Melbourne and we are very excited about working more closely with them. Kavanagh is the firm’s eighth lateral hire this year and spent 16 years with his previous firm heading up Lander & Rogers’ casualty team. He will strengthen the firm’s insurance sector and become its 124th insurance partner globally. Together, litigation and insurance combined to account for 88 per cent of Kennedys’ turnover in the last financial year. 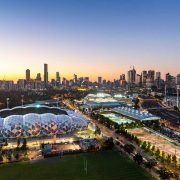 The Melbourne office continues the firm’s rapid expansion in 2017 after the US merger, a 24-strong hire from Hill Dickinson in Sheffield, a merger with Manchester-based litigation boutique berg, an office opening in Mexico and a formal association in Italy rounding off the first half of the year. Kennedys managing partner Nick Thomas, who was reelected for a fifth time after running uncontested earlier this year, said: “This latest office opening reinforces our commitment to the Australian market by expanding our capacity to service national clients, and by recruiting talented and experienced insurance specialists who have the industry expertise that our clients demand. DLA Piper has acquired Los Angeles-based boutique firm Liner, which is focused on focused on litigation, real estate, business transactions, and restructuring. DLA Piper’s announcement said about 60 lawyers will move in because of the merger. Liner has approximately 70 lawyers listed on its site. The deal could also add Liner’s three offices – two in LA and one in New York ­– to the DLA network when the merger goes live, which is expected to be in October. Roger Meltzer, DLA Piper’s global co-chairman and co-chairman for the Americas, said that Liner team “will be an important strategic linchpin for us in the region and across our platform.” DLA Piper will help the Liner team expand their practices nationally and globally, he said. Name partner Stuart Liner has overseen the firm since it was established in 1996. He has won several eight-figure settlements in contingent fee cases, his profile on the firm’s website says. 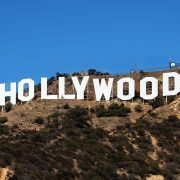 Liner said his team were excited to build a stronger presence in Southern California, Silicon Beach and beyond under the DLA Piper umbrella. The deal will enable them to utilise expertise and services offered by DLA Piper in key markets around the US, like New York, to expand their services to existing clients, he said. Liner particularly identified DLA Piper’s mergers and acquisitions, private equity, finance, infrastructure, and sports practices as major areas of collaboration. The acquisition comes after DLA Piper Africa’s latest acquisition of two law firms, expanding the firm’s reach to all 19 African countries.